Search Engine Optimisation is critical for the success of your web presence whether you’re trying to rank in Ireland or any other market. SEO is the process of getting Traffic to your website from the “free,” “organic,” “editorial” or “natural” search results on search engines. The most important thing to remember is that you are not trying to just get “Traffic” to your site. You are trying to get the right type of traffic to your site. Visitors who are searching online for what you are selling. In this section of our Digital Hub we take a closer look at the upfront SEO | Search Engine Optimisation work required just before and immediately after a website goes live. We will follow with a second Ongoing SEO guide. We also examine some of the tools, software and websites which can assist in the SEO | Search Engine Optimisation process. This guide should be read in conjunction with earlier Blog Posts on SEO – what is it? and the ultimate prelaunch checklist for eCommerce websites – part 1 and upfront SEO part 2. Keyword or Key term research is the starting point for all search engine optimisation work. It will not only inform and drive the upfront SEO and ongoing technical optimisation but also your whole Digital Marketing Strategy comprising content, email, social media and paid advertising. 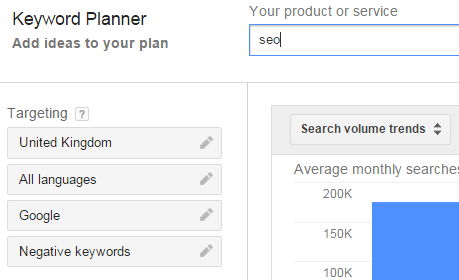 Start with Google’s own Keyword Planner. 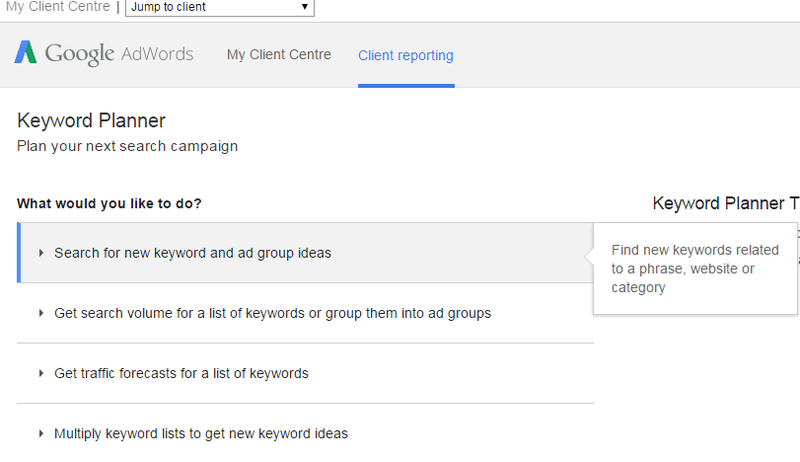 Google’s Keyword Planner requires you to sign up for an AdWords account but you don’t need to have an active campaign or even enter billing details. The Keyword planner can help you to discover terms relevant to your business. It tells you the level of actual Google searches for these terms and the relative online competitiveness for them. If no one is searching for a particular term why would you include it in your upfront search engine optimisation or target it going forward with your content marketing. Before you can get the most out of keyword planner you need to develop your own list. Type them into the planner and then assess the output. Once you have established your optimal keywords you can then implement them into the very fabric of your website i.e. via your site’s meta-tags and body content. Most of the websites developed by Inspiration use WordPress as the Content Management System (CMS). Different SEO companies may recommend other CMS systems again be careful which route you commit to. Currently to complete the upfront SEO we use a WordPress plugin called Yoast. Make sure you tag all your images with alternative text relevant to the keyword focus. It is important to set up permanent redirects from the old website page URL’s t the new website pages. This ensures that all existing visibility and rankings are passed over to the new website and you don’t lose website traffic simply by launching your new website. The old pages will drop out of Google’s index over time and the new pages will be indexed instead. This is the standard 301 re-direct format: Redirect 301 /old-file.html http://www.domain.com/new-file.html. Technically your redirects are added to a file on your website server called the HTAccess file. Again check with your web design agency or your SEO Company. How will you know if your website is performing? You need to establish Goals for the website and then track them monthly. For eCommerce websites it’s typically easy – its sales! For brochure websites though tracking your search engine optimisation results may include tracking contact forms, quote requests, call back requests, downloads, newsletter signups. Decide what is important and then set up the Goal tracking via your Google Analytics Account (see below). Generally Goals are physical contacts like forms initiated by site visitors. Make sure you website design company or SEO company include a form handler to capture all these goals in your CMS backend as well as setting up an email alert to your sales and marketing person each time a form is completed on the website. Within our onsite upfront SEO work we typically separate out Events from Goals. Events are typically phone calls, direct emails or downloads initiated directly from a website visit. Your SEO Company will need to add some code to your website to track events. breaks down site traffic into useful segments – source, location etc. If you are redesigning / redeveloping your web presence you will likely have a Google Analytics Account already and a corresponding UA tracking code. If you don’t go to http://www.google.com/analytics and set one up. A useful starter guide here https://support.google.com/analytics/answer/1008015?hl=en . Again you are unlikely to have all the expertise in house to do all these tasks but at least you can keep your search engine optimisation company honest by running through the checklist. 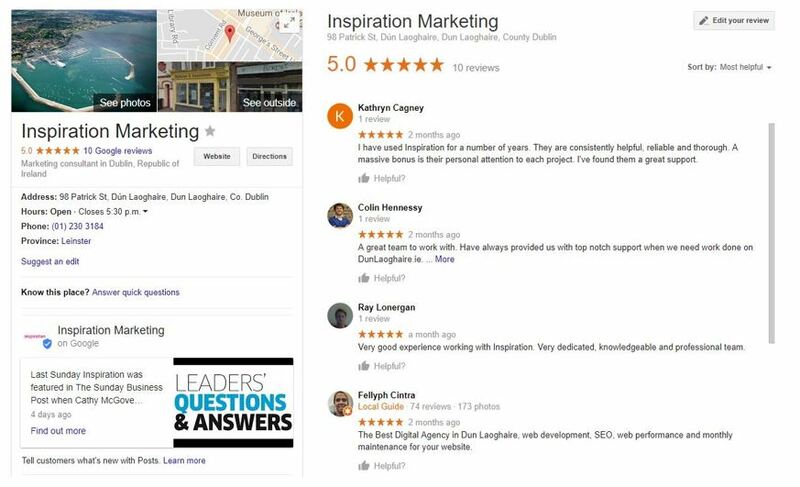 It’s the same process whether for SEO Dublin, SEO Ireland or further afield. Your web master tools account is very important to your overall search engine optimisation efforts. It’s effectively a technical interface between your website and Google. 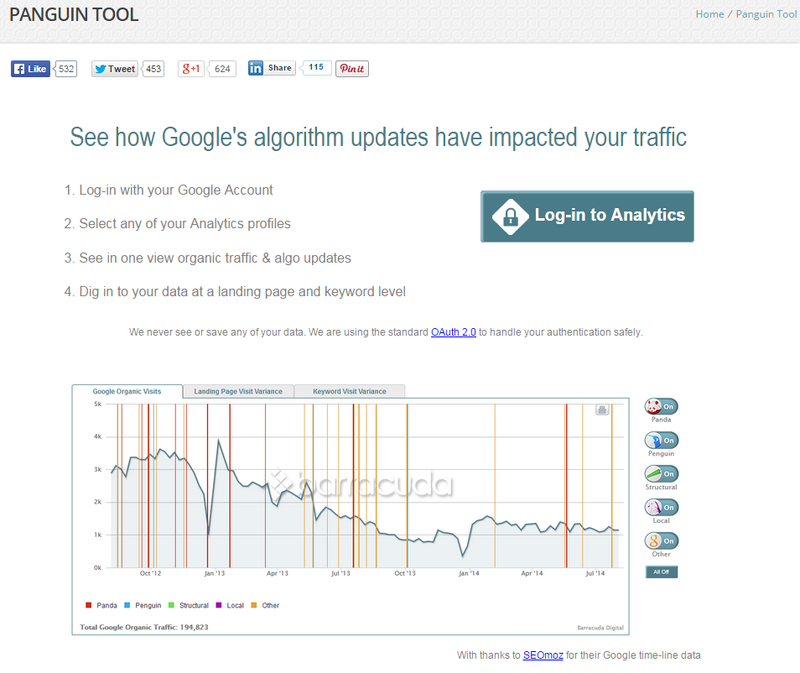 If there are technical issues with your website Google will flag these in your webs master tools account. Simple set by step guide to set one up can be viewed here http://www.wordtracker.com/academy/learn-seo/analytics/set-up-google-webmaster-tools. You can trouble shoot issues via web master tools; potential website hacking, usability issues e.g. is it mobile friendly, indexation problems, site maps, geo targeting, potential bad links into your website. Ensure you have a clean bill of health on launching your website. We would also recommend that you set up a Bing webmaster tools account as part of your upfront search engine optimisation. If you have a Google AdWords account you should link it with your Google Analytics Account. Just logon into your Google Analytics account and link it within the Admin area. This allows you to track and report your online presence seamlessly. By linking all your Google Assets you can effectively log –in once and have access to all the different functions / features to better manage your search engine optimisation work. In monitoring your SEO performance ideally you only want to track external traffic – new or existing visitors who will do business with you. It is advisable therefore to exclude IP addresses associated with your own internal employees who are on the website regularly and indeed your web design company and / or search engine optimisation agency (if they are different). 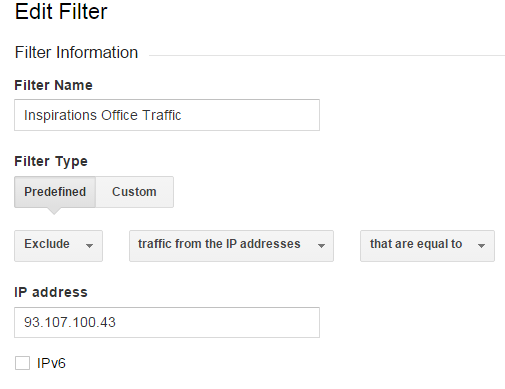 You can do this within the Admin area of Google Analytics; Choose Admin → Filters → New Filters → Create New Filter. e.gs of websites include www1.social-buttons.com, free-share-buttons.com, social-buttons.com, googlsucks.com This a very technical area of search engine optimisation therefore I will not go into too much detail here. You should get your SEO Company to explain how they are dealing with this issue. A good Technical guide is available. 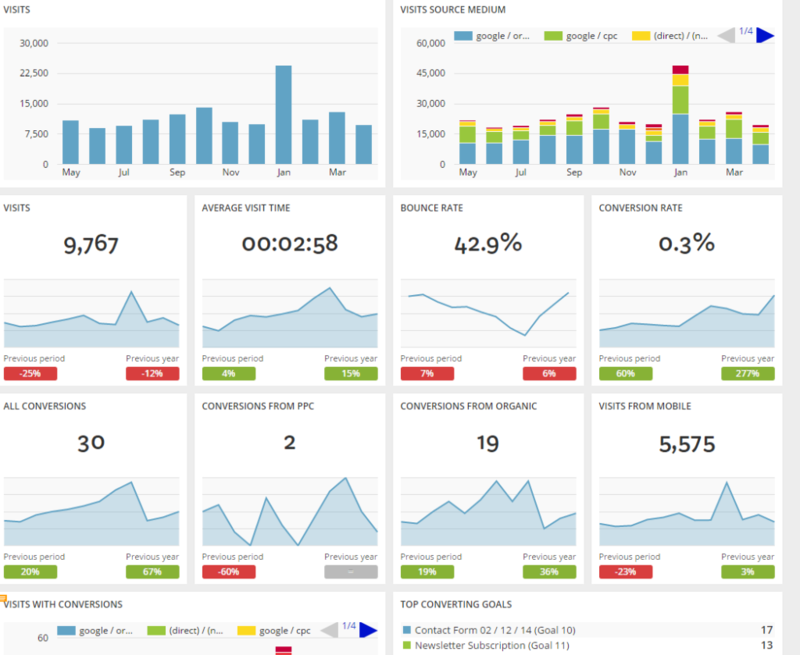 Again another technical area of search engine optimisation for your SEO Company to deal with. Essentially you can ‘mark-up’ your website pages so that Google can use the marked up information to further enhance your displayed search result. Areas where you can add structured data include reviews, products, recipes, events, music. Use Schema Creator to create structured data code: http://schema-creator.org/. You can also structured data direct to your website by using a feature called data highlighter within your web master tools account. Web master tools will also flag if there are any errors in your page ‘mark up’ which might prevent Google from displaying above rich snippets. Use Schema Creator to create structured data code: http://schema-creator.org/. Your search engine optimisation company can use the Structured Data Testing Tools to test webpages http://www.google.com/webmasters/tools/richsnippets. Local Search Engine Optimisation is very important. More people are using Google and Google Maps to find businesses close to their location. It’s a good idea to keep your Google Places listing up to date with your relevant opening times, address, images etc. You can manage all of the information through your Google account. These details are then displayed in the knowledge graph. 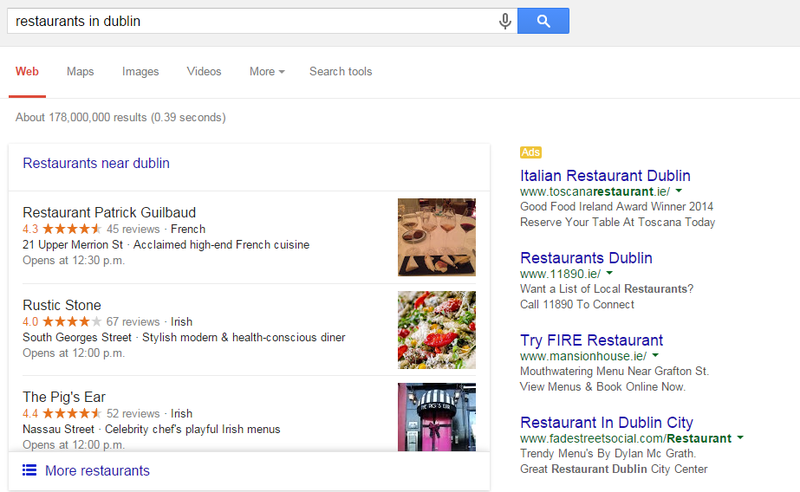 A new update from Google is the addition of ‘posts’ in the knowledge graph. These currently stay in the listing for one week but remain in your full Google Places profile. We also recommend asking happy clients to leave you a review. Make sure to monitor your reviews, there may be an opportunity to respond to negative feedback and win customers back to your business by handling complaints properly. On go live you should create and submit an XML version of your site maps (all your web content and image pages) to Google via webmaster tools and to Bing via its own webmaster tools interface (see above). If you are using WordPress and its SEO plugin Yoast recommended earlier then the plugin creates the link for you and you simply need to input it into web master tools. This speeds up the website being indexed and therefore displayed in search results. Going forward Yoast should automatically update the site map submission on a regular basis to keep everything bang up to date. For clients with multiple websites or sub folders on the same website targeting different countries Inspiration Marketing also recommend that you create a HREF Lang site map. Hreflang sitemaps should be generated for each target location. Use this tool to generate sitemaps: http://www.themediaflow.com/tool_hreflang.php . Again these sitemaps should be submitted to Webmaster Tools. This tells Google to display the website pages based on the location of the actual search. Closely aligned with the site maps is Geo Targeting of your website within Web Master Tools. This is how you tell Google the target country or region for your website. In WMT choose search traffic à International Targeting à Country. Make sure your internal team or your SEO Company set the correct Geo Targeting. Your search engine optimisation agency should review your backlink profile as part of its upfront SEO work. Having completed all the other key upfront SEO tasks your website performance can still be severely hampered if it has a Toxic backlink profile in Googles’ eyes. Read about the background to this important SEO issue. Bad links may include some paid directories, links from pages with ‘light’ content’ e.g. article directories, links from sites with very low domain authority. Your search engine optimisation specialist should do the analysis for you to ensure you have a clean bill of health. They will gather together a comprehensive listing of all in links using probably a variety of SEO tools and software including web master tools. Once the spammy links have been separated out your SEO agency should contact the websites concerned and request their removal. Failing that they should submit a disavow links document to Google via web master tools. Search Engine Optimisation is an ongoing process. It never sleeps if you will. Your internal marketing team or more likely your SEO Company need to constantly be working on your website presence. Inspiration Marketing normally check to see if a website has been hit or adversely affected in the past due to changes and updates in Google’s algorithm. This will point to areas which might still need to be addressed to get the website performance to improve going forward. There is a very useful tool for diagnosing historical google issues. The website above suffered a serious drop in traffic after a Google algorithm update circa Jan’13 . Once your search engine optimisation provider understands what that Google update impacted they can then start to address the underlining SEO issues with your web presence which caused the drop – links , duplicate content, thin content or whatever. Search engines do not want to fill up their results pages with the same content. So where your content has become duplicated you may find that the content is competing against itself for ranking in the search engines. Tools such as Plagspotter can be used to diagnose Duplicate content on your own site and Copyscape can find content scraped from your site and posted to others. Webmaster tools will highlight duplicate metadata on your own site. Have a read of the duplicate content issues in more depth here in a previous blog post. For duplicate content on your own site you can use a 301 redirect to send visitors and bots to the primary page. You can also use the rel=canonical tag to tell search engines where the primary page is. For content that has been taken from your site and posted elsewhere first request the webmaster to remove it. Where this is not possible or they don’t respond you can send a deindex request to Google here. You can take preventative measures by pinging search engines with new content when you post it and including a link to your site in the body of the content. Website Speed is becoming a critical SEO issue and impacts your website performance. Speed improves a user experience. Site visitors find what they need more quickly and may as a result be more likley to convert or contact your company. Google likes improves user experience and there is therfore a correlation between your website speed and your performance in Google. Inspiration have written a very comprehensive blog post about the importance of website speed which explains all the underlining SEO issues and alows you to test your website. There is only so much you can do with your onsite search engine optimisation to improve your speed . Part of the solution for some websites maybe a dedicated or specialist hosting for their site. Again get your SEO company to look at your website speed and determine if it needs to be improved. We all accept that Mobile phone usage for browsing online is growing and in some sectors mobile visitors out number desktop visitors. This impacts your search engine optimisation programme. Google now take mobile friendliness into account into search results. Again Inspiration have written a very comprehensive blog post about the Importance of Mobile Friendly Web Design . This post outlines why its important for SEO , the options available allows you to test your own website. Having tested your own website if you are not mobiel friendly please feel free to contact Inspiration Marketing to discuss the options. Having completed all the above search engine optimisation tasks your SEO Company should complete a final review to make sure all upfront onsite SEO issues have been addressed. Inspiration use Screaming Frog and Moz SEO software among other for this purpose. These tools will scan the website and highlight aspects which still need to be addresses in your upfront search engine optimisation work. This key SEO step ensures you have great starting point for your ongoing search engine optimisation and online marketing programmes. Remember SEO is a process of continuous improvement. The final step is to review the starting point or current website performance before you start your monthly marketing phase. You need to look at your key SEO metrics. Again Inspiration can customise client reporting to suit the particular requirements of their sectors, site visitors and online marketing programmes.